Sage Voices is a group of African American Women trained in education and professional voice overs. Their mission is to help drive your business with a continuous improvement process using educational voices, while presenting significant expertise to Community Based Organizations, Non-Profits and Corporations. This group of dedicated professionals brings the emphasis and special attention required of the stated work. Cherise Patterson is an African American Voice Over Specialist, who is familiar with providing the 3-dimensional sound that promotes companies and needed services. Her voice resonates with warm, smooth and sensual approach or she can deliver a professional corporate tone. For sophisticated projects and a bright, vibrant and upbeat delivery for standard narration her voice is a perfect fit. 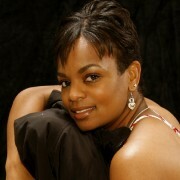 Cherise’s work has been featured on numerous ads including, African American hair product Follicle Cleanse. Michelle Hall is a state certified educator of more than fifteen years, a state designated proficient coach, and staff developer/trainer. She is currently employed as an English Language Arts Instructional Specialist in one of the largest urban public school districts in the Midwest. Michelle holds a Bachelor’s degree in English and a Master’s degree in Curriculum, Instruction, and Leadership. She is an aspiring vocalist among other things and wishes to merge her expertise in education with voiceover work and her love for music. Janice Rowley has been an educator for over 25 years. The first decade of her career was at the collegiate level where she taught History, World Studies, Women’s Studies, and Black and African American Studies. For the past 18 years, she has worked in Detroit Public Schools as an English and Social Studies teacher as well as an English and Language Arts Instructional Specialist at both the building and district level. Janice Rowley earned her Bachelor‘s in Humanities from Michigan State University and her Master’s Degree in American History and Black Studies from The Ohio State University. She currently serves as an Education consultant on African American Children, Youth, and Family Research Project where Dr. Carl S. Taylor of Michigan State University is the Principal Investigator. Rhonda J. Bantsimba graduated from The University of Michigan with a BA in Women’s Studies and worked as a counselor and reproductive health educator in the community for six years. She went on to work as a training consultant in STD/HIV prevention for 11 years training others to be HIV prevention counselors and case managers with the Michigan Department of Community Health. As a result of her work with others around sexual/reproductive health, where the effects of poor communication in relationships are so apparent, she felt drawn to do therapy work. In August of 2010, she completed her Masters degree in Social Work at The University of Michigan with a specific interest in couples, women and multicultural issues and is currently working as a therapist working with individuals, couples and families. 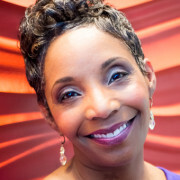 Rhonda has been involved with music, acting and voice work for most of her life, beginning with singing in the church choir to being a member of The Detroit Women, a touring blues band, for 4 years from 2003 to 2007. 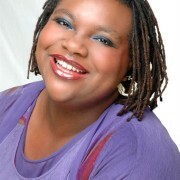 She has also appeared in several theatrical productions including Zoo Man and the Sign (co-starring with Esther Rolle from the hit show, Good Times), The Wiz, Avenue X, For Colored Girls, The Zoo Zoo Chronicles, as well as two short films, Twin Cousins and Pharaoh Jones (directed by Rod Gailes).